Cues that tempt us to eat unhealthy types of food or to eat too much are all around us. Responding to these cues provides a quick reward. However, the long-term effect of these unhealthy choices is often weight gain, poor nutrition, and other negative health effects. We need to develop the ability to resist the cues that tempt us to make unhealthy food choices and learn to make healthy food choices instead. 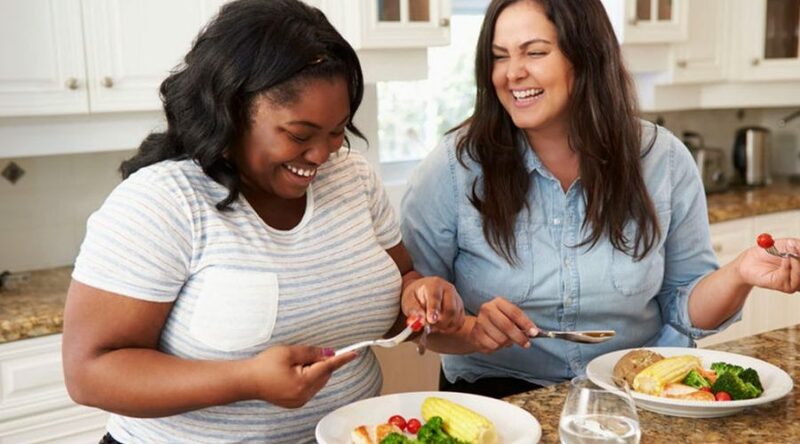 Medical providers have limited time to talk with their patients about weight and healthy eating during office visits. Instead, they may provide handouts for their patients to read after the visit. However, many people need more support in order to achieve weight loss. That’s why we’re developing game-based learning to help patients overcome negative food cues and make healthier food choices in real life. Biological programming that developed when food was scarce and had to be hunted conditions us to eat sweet, high-fat foods. Eating these foods feels rewarding, which leads to impulsive eating that needs to be overcome by rejecting cues to overeat and making intentional, healthier choices. 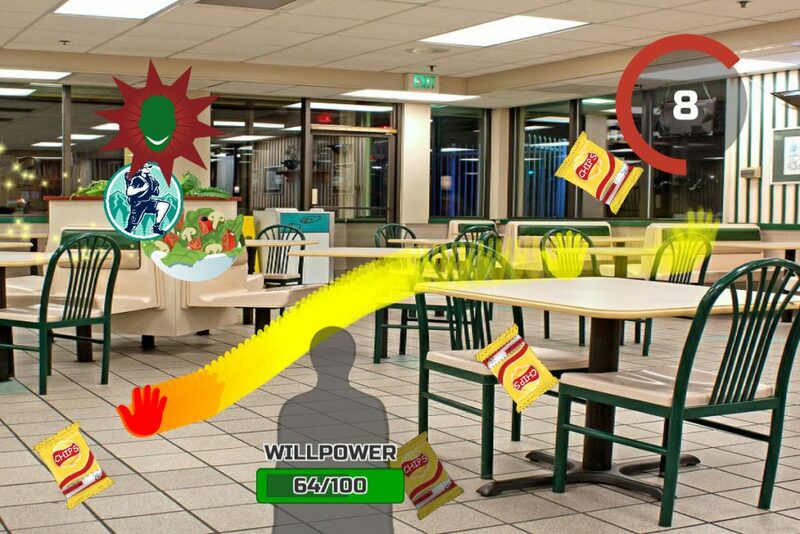 Using SwipeAway: Food, players overcome the negative cues that tempt us to ingest unhealthy food and drink. By swiping away bad choices and grabbing healthy choices, the game helps players make healthier decisions. SwipeAway: Food makes the replacement easy and fun, with visual cues and active involvement that reinforces the value of change. We currently have a beta version of this game available in the GooglePlay store and are working on an updated version as well. Seeing a high-calorie food can act as a “cue” to using the substance. 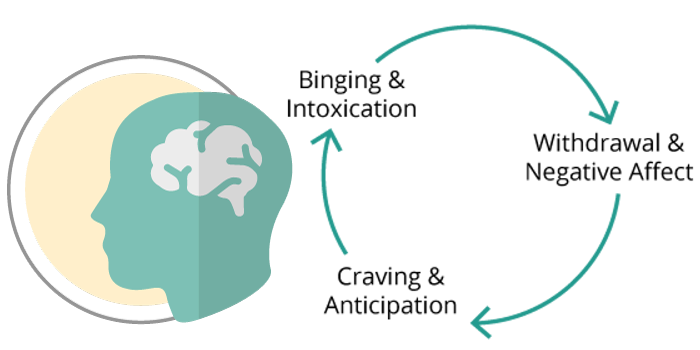 Anything you associate with the food or substance, such as a restaurant or a smell, can act as a cue, too, and produce a craving. Cues often trigger cravings without your even being aware of it. The next thing you know, you may have the urge to eat a food you don’t need. If you could stop and think about these automatic responses to cues, you might realize that acting on them is not in your best interest. 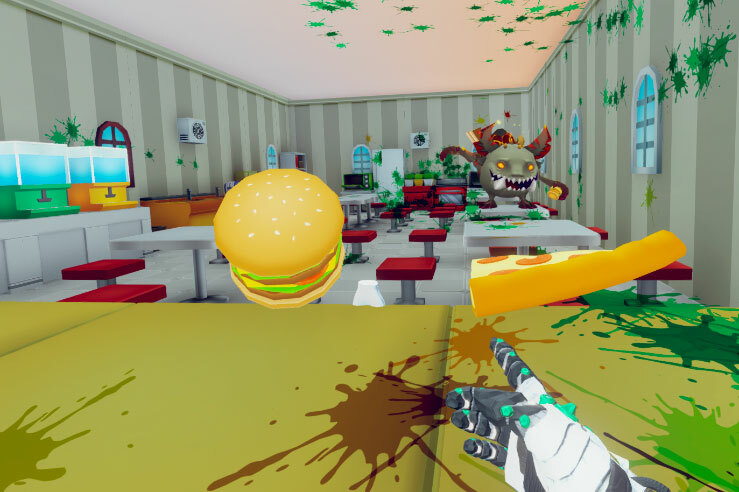 In Food Fight: Oculus VR, food cues bombard you. You grab and throw the unhealthy ones or hit them away, leading to a feeling of empowerment over foods you are trying to resist eating. Healthy foods also come into play and must be grabbed and eaten. Visual cues, points, and active involvement make the process of selecting healthy foods and resisting unhealthy foods easy and fun. The game empowers the player to overcome a sense of powerlessness by practicing behavior change in cue avoidance and seeking alternative, positive activities and thoughts to replace negative ones. 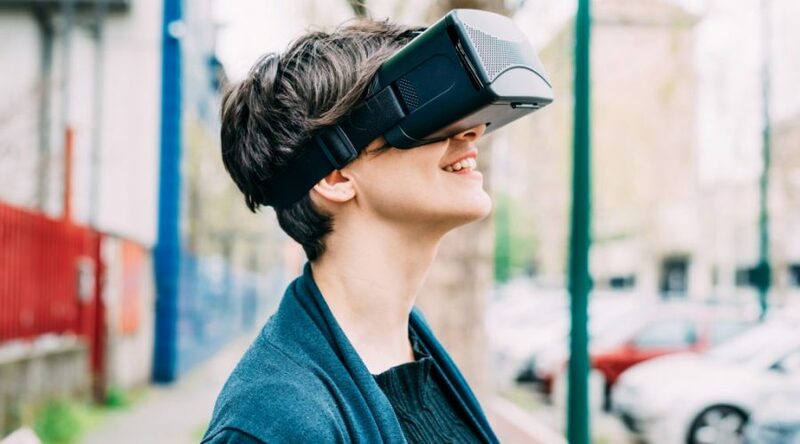 It is currently available to download for free on the Oculus Store. You can learn about these games, as well as our other games in development, at HealthImpact.Studio!